CAMPBELL TD21018 STYLING CHAIR: Although similar to the Hillcrest, the Campbell Styling Chair has more of a contemporary feel. 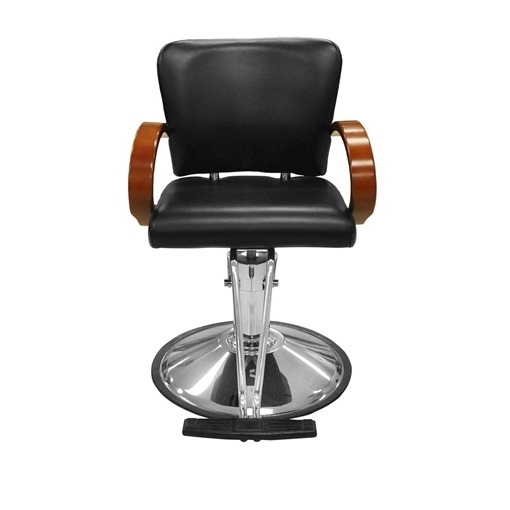 In addition to these great benefits it comes complete with hydraulic chrome base and chrome T-shaped footrest. - T- shaped foot rest with chrome legs. - Round chrome base plate. - Support up to 450 lbs. - Adjustable Height: 20” to 26”.